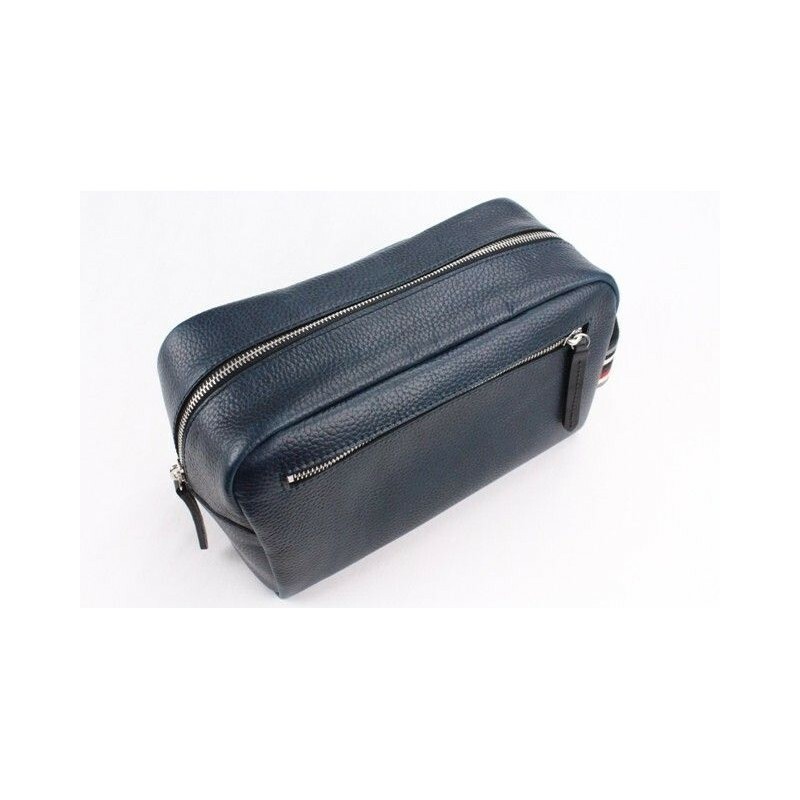 Made in England by Pittards, this high quality large Blue Dopp Kit wash bag will hold all your toiletries, including full size bottles. 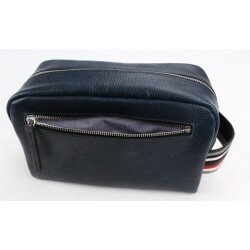 The main compartment is lined with wipe clean waterproof lining. The front zipped section has a small blue checked shirt style lining to store your smaller items. The bag is finished with a sturdy handle made from a matching striped webbing. 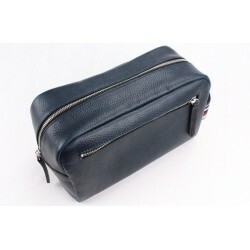 This high quality large Blue Dopp Kit wash bag will hold all your toiletries, including full size bottles. 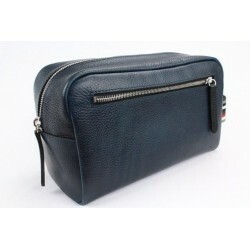 The main compartment is lined with a black wipe clean waterproof lining. The front zipped section has a small blue checked shirt style lining to store your smaller items. The bag is finished with a sturdy handle made from a matching striped webbing. 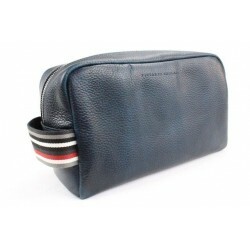 The term "Dopp Kit" is an American term named after a Charles Doppelt who made the first wash bag. 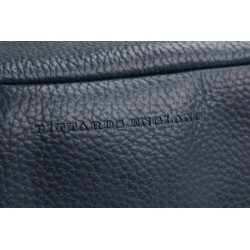 Made in England by Pittards using their water resistant WR100X technology which keeps the leather softer for longer. The water resistance is permanent and needs no special treatment to maintain it - simply wipe clean wit h a damp cloth. Superficial marks can be worked out using the thumb pads - this encourages the oils in the leather to move and cover them.